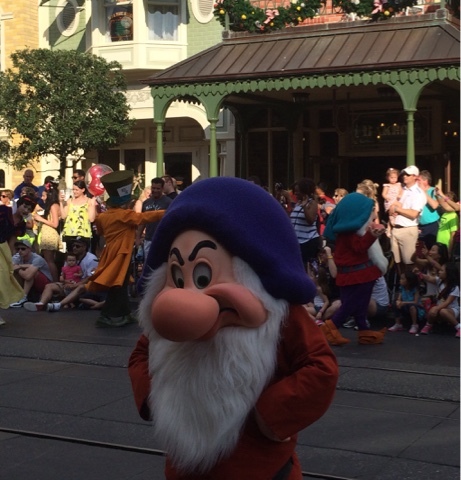 One of the long standing jokes at Walt Disney World's Magic Kingdom is, "what time is the 3 o'clock parade?" Well, you'll want to be sure to be lining the sidewalks before 3 o'clock each day to catch the daily showing of the Festival of Fantasy Parade. I can't believe it has taken me until November 2015 to catch this gem which debuted March 9, 2014, but with midday nap times necessary when traveling with my little guys, it wasn't until our adult getaway for Wine & Dine Half-Marathon Weekend that we had the chance to see what all of the excitement was about. I had read previously that this may be the best parade that Walt Disney World has ever imagineered and I would have to agree! 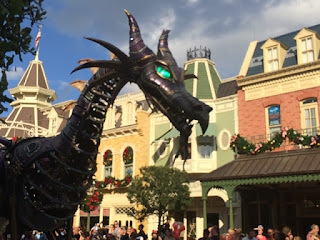 Here are 5 things to love about the Festival of Fantasy parade! 1. 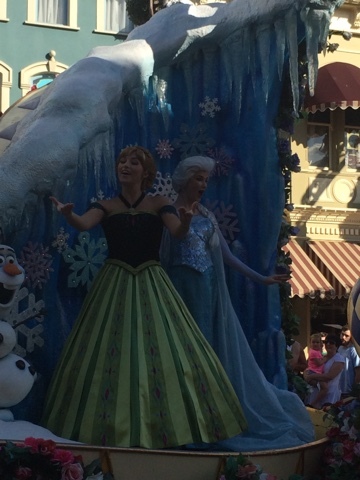 Modern Characters Meet Classic Friends - This parade has a little something for everyone! Young children who haven't had a chance to appreciate all of the classics will delight in seeing Anna and Elsa, Merida, and Rapunzel while also getting acquainted with classic characters. 2. Imagineering at it's Finest - Walt Disney World is known for being on the cutting edge of creativity, but this parade takes it to the next level. I mean, c'mon. . .a fire breathing dragon that is this cool? Where else would you see something like this besides Disney? 3. Crowd Interaction - The Disney cast members that walk along the parade route and the characters that join them enjoy getting up close and personal with the crowd. 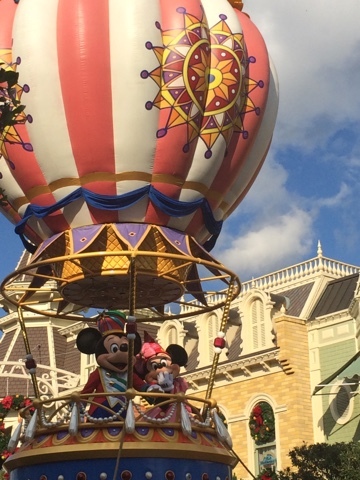 You feel like you are part of the show and the magic truly comes to life for little ones! 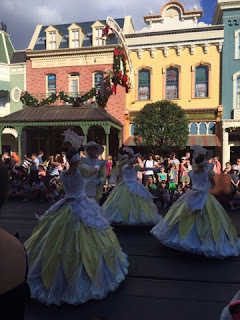 The parade has a street performance feel and flair about it which is both fun and engaging. 4. The Costumes - You won't find a parade with more colorful and intricate costumes. Details on some of our favorite characters are spot on while the supporting cast members don beautiful designs as well! 5. Premier Viewing with FastPass Plus - Guests can use one of their three FastPass Plus allotments to experience the parade from the Flag Pole Viewing Area on Main Street U.S.A. This means that you don't have to worry about grabbing a great sidewalk spot up to an hour ahead of time. Instead, enjoy all that Magic Kingdom has to offer and then walk into your reserved viewing spot just minutes before the parade begins - a guaranteed great view! We didn't use this for the Festival of Fantasy parade, but have experienced this same viewing location with FP+ for the Main Street Electrical Parade. Check the times guide or your My Disney Experience app for more information regarding this entertaining parade!